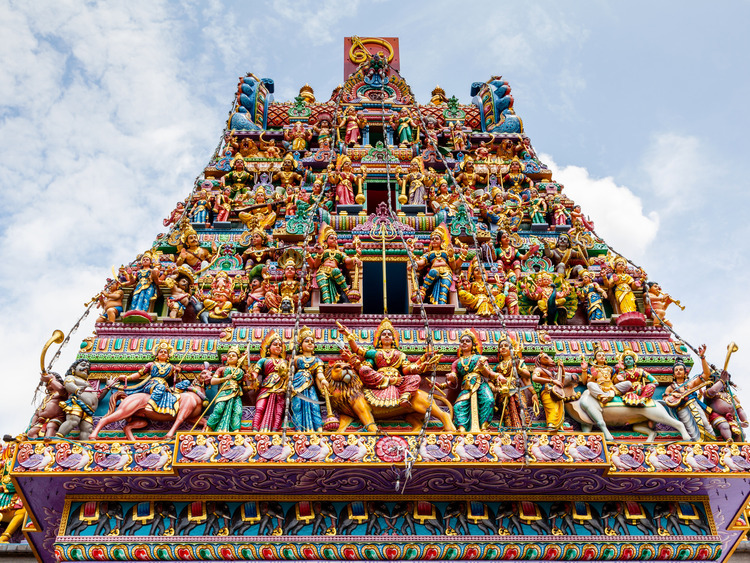 On board the coach, we will firstly head to the exotic area of Little India where the scent of the jasmine garlands infiltrates the air surrounding the lively stalls and the colourful, restored shops. The sellers have everything: from saris to aromatic spices right through to the most complex and diverse shaped ornaments. The next stage takes us to the place where Sir Thomas Stamford Raffles, founder of Singapore in 1819, touched base upon arriving in Singapore (near to the river of the same name). We will continue our tour in the direction of the city centre, where we will see the Parliament Building, the Victoria Theatre, the Empress Place Building** and the numerous vestiges of the colonial period, restored and restructured to their former splendour. Once on the coach again, we will admire other buildings constructed as per the specifications defining the colonial style, amongst which, the City Hall, the Supreme Court building and Raffles Hotel. A tour which allows you to discover Singapore's main attractions cannot neglect the statue of Merlionthe mythological figure with a lion's head and mermaid's body which is now the symbol of the city. Having passed the Singapore river, our coach will cross Shenton Way also known as Asia's Wall Street to then enter the historic area of Chinatown. A walk amongst the vehicles and roads of this picturesque area, with the typical mixture of Chinese traditional medicine stores, tea rooms, acupuncturists and calligraphers, immersed amongst the customs of those people who live and work here, which makes you feel you really are going back into the past. Our tour continues into Singapore's botanical gardens, which were recently awarded the title, UNESCO World Heritage Site, which houses 60,000 plants within a natural setting, amongst which the world's largest collection of orchids. It is not necessary to book this tour since it is included in the price of your cruise.